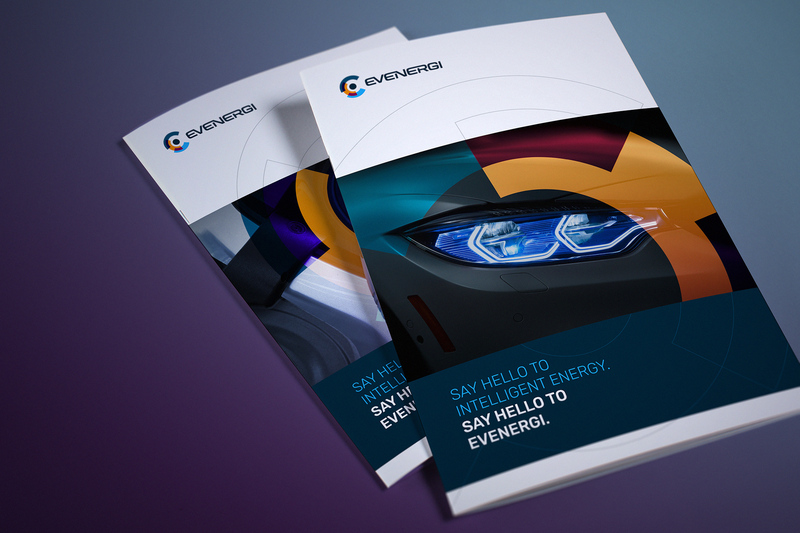 Dynamic brand created for exciting new business which combines traditional automotive and renewable energy narratives into a clear and singular proposition. 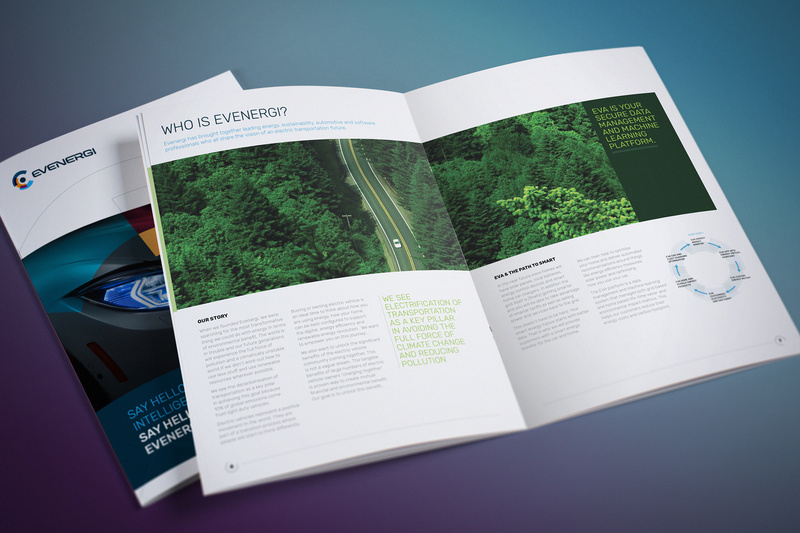 Evenergi is a UK based start-up which is driven by a mission to make the driving of Electric Vehicles (EV's) more affordable, sustainable, and simple to understand. The business has a vision of assisting in the decarbonisation of our planet via fuelling the broad adoption of electric transport over traditional fossil-based motoring. 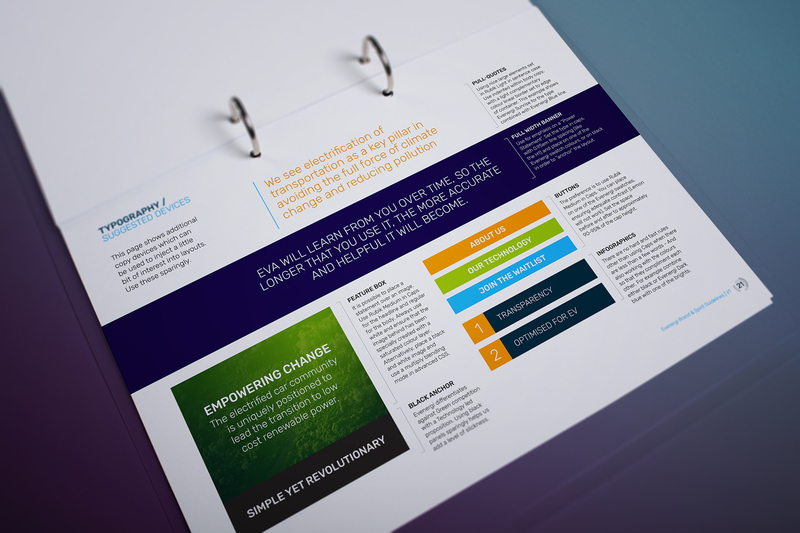 Our brief extended to research, strategic framework, creation of renewables brand identity, visual identity, communications, digital design of applications, advertising and brand guidelines. 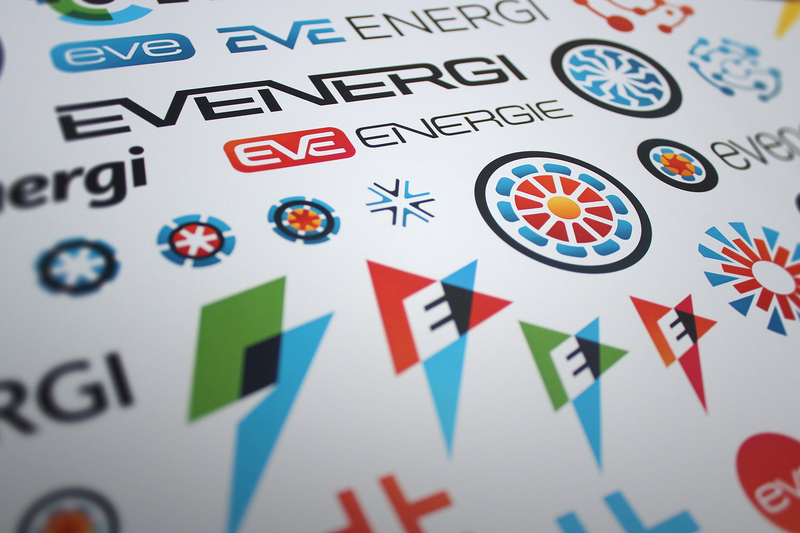 The Evenergi brand identity is a slick and ambitious entry into the renewables EV energy market. The chosen brand identity was created on the basis of a dynamic identity whereby the brand symbol comprises a variety of harmonious moving parts. The wordmark is as important as the dynamic symbol. We wanted to be clear that this brand stemmed from the automotive sector. 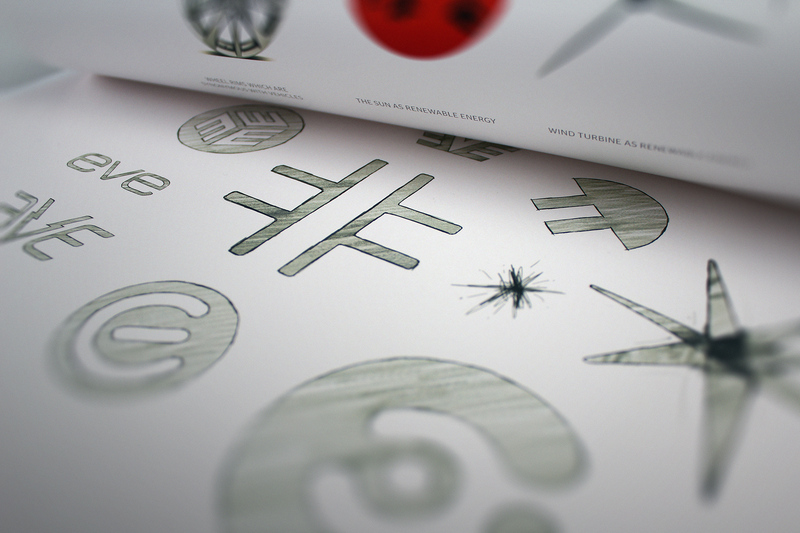 The nature of the identity system allows for flexible application whilst maintaining a unified look. 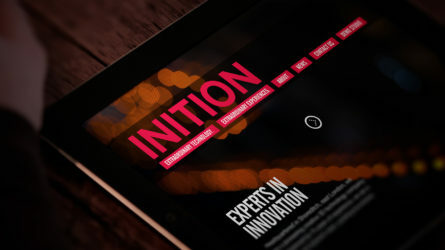 We were appointed to assist with the overall strategic positioning of the business and initiated the project with a series of one to one interviews to solidify the brand positioning. 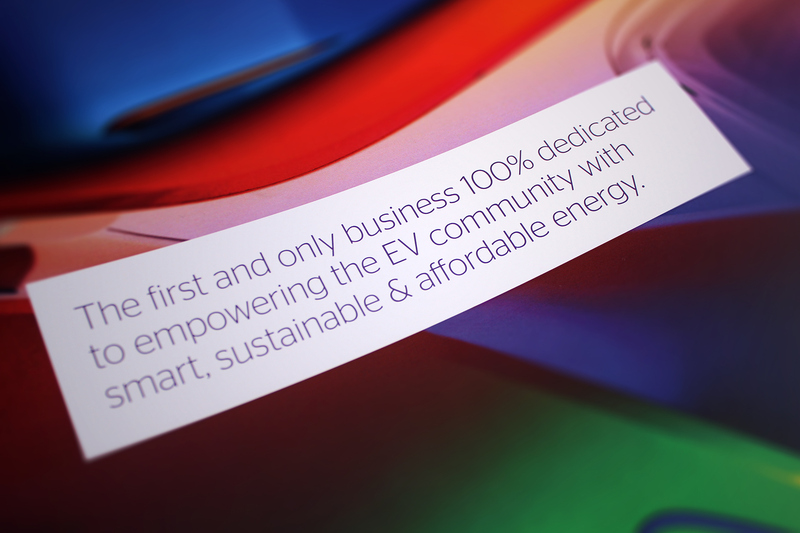 We created an automotive brand positioning which encaptured the spirit of renewable energy branding. To commence the creative process we developed a mindmap of all influences upon the brand and it's visual metaphors. We provided a number of creative concepts which covered a broad spectrum of visual identities. 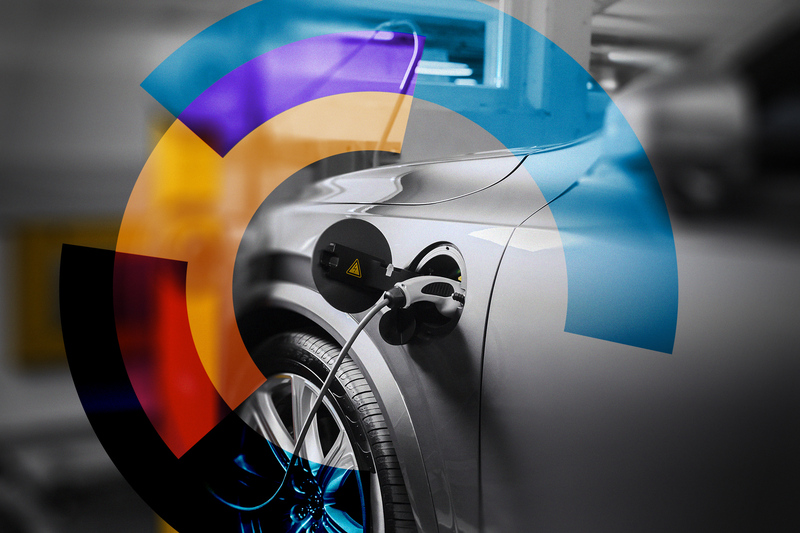 We explored numerous concepts around natural power, automotive and energy themes. 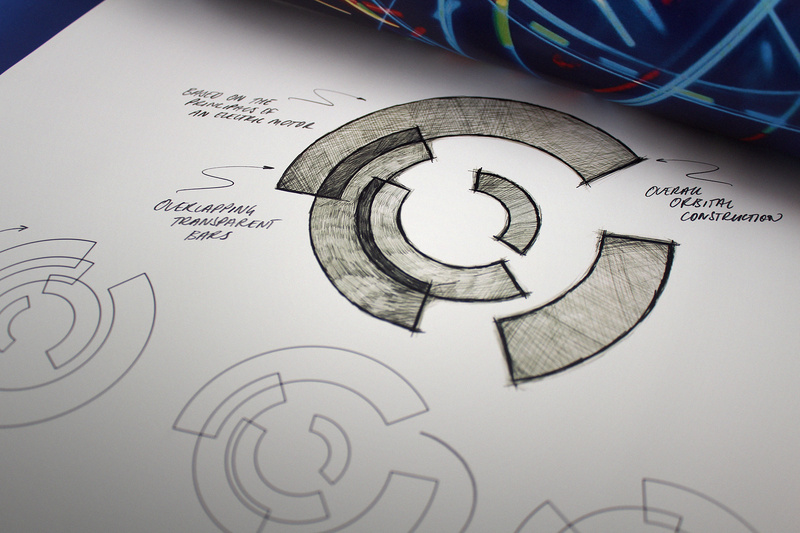 The brand concepts married symbology from both automotive and renewable sectors. 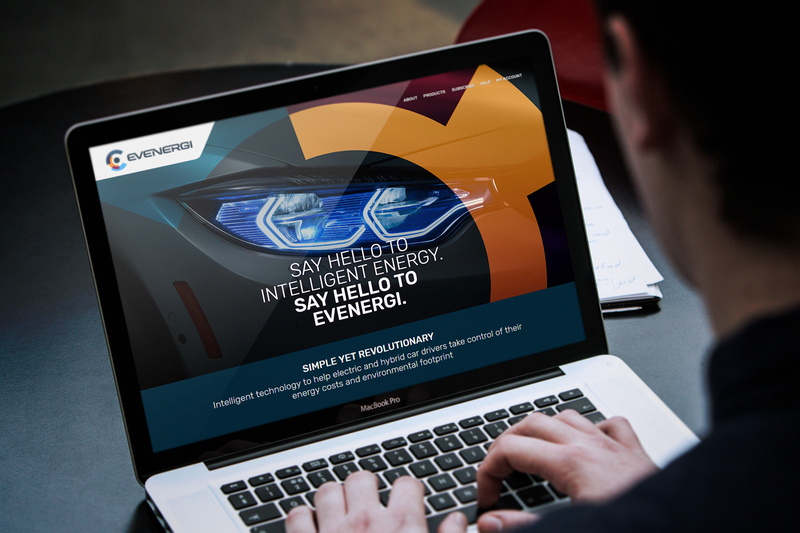 The Evenergi renewables brand represents a contemporary next generation automotive identity, built for the future. The cyclical identity is applied across imagery by using the graphic device to highlight specific focal points withint the image. The flexible visual identity can be used in many various formats without breaking the core positioning. The brand identity is always supported by succinct and clear copy. The combination of a techy aesthetic and commanding tone of voice calls upon the target audience to join the EV revolution. Evenergi also has a technology proposition because a large part of their product offer relates to apps which assist EV drives in understanding energy consumption. 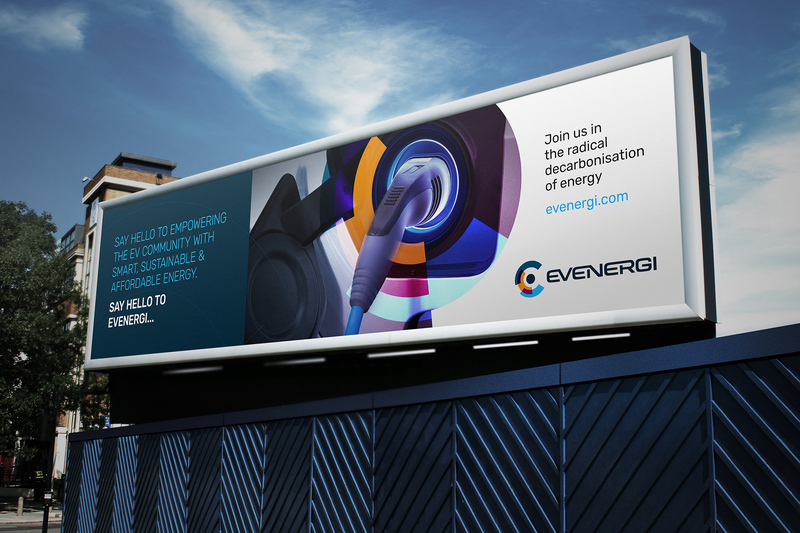 Evenergi is a digital first brand. The first engagement point for many consumers is within social media. The onward web experience needed to be engaging but clear. 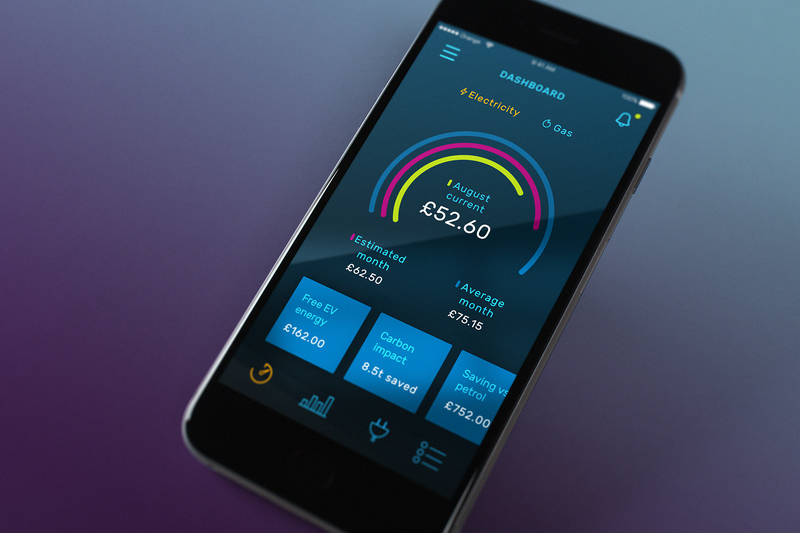 We worked together with Evenergi engineers on creating a digital identity which applies to apps and software. 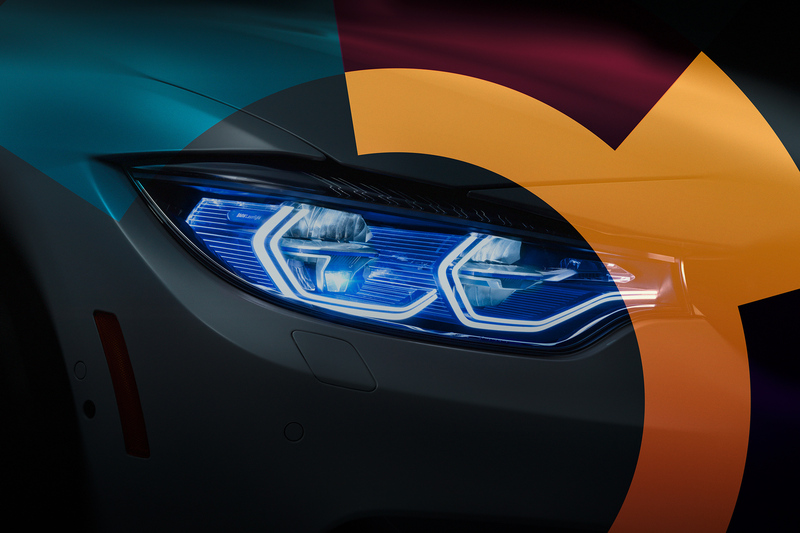 The identity contains automotive visual cues which in abstract form help communicate the purpose of the brand. 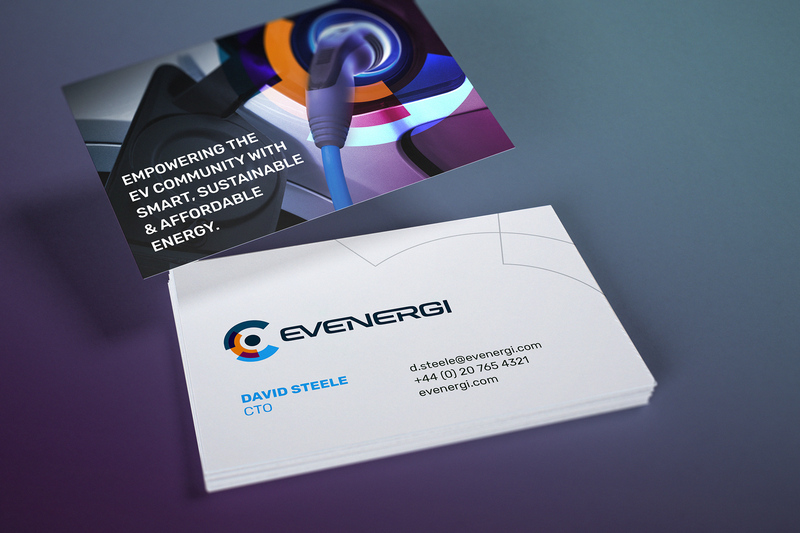 The MVP for the website was to secure signups to the Evenergi community by ensuring a clear online story. 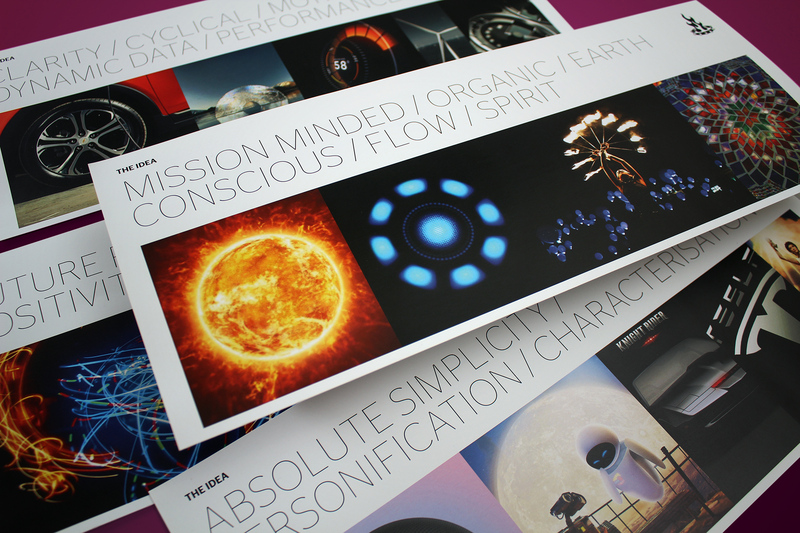 The entire brand identity has been systemised and summed up in a comprehensive spirit and brand guideline kit. 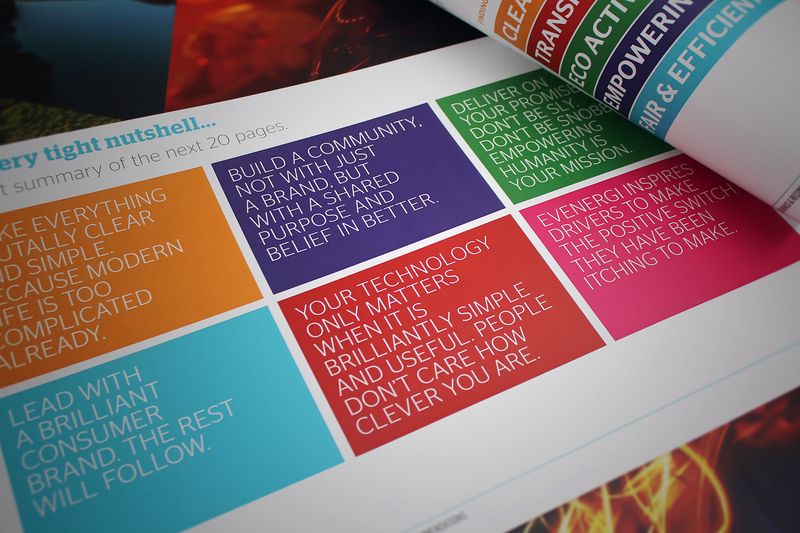 Large panels of imagery and editorial devices support the brand identity in design for print. The graphic device is flexible to allow for any focal point within imagery. Making a mission based business credible and authentic. 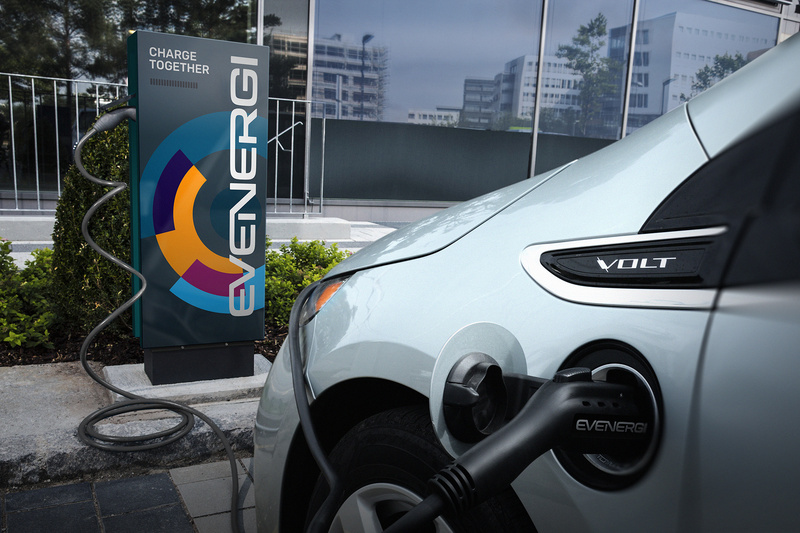 The Evenergi name is a portmanteau of both the words EV and Energy. We were appointed to assist with the overall strategic positioning of the business and initiated the project with a series of one to one interviews to solidify the brand positioning. We followed through with a comprehensive strategic framework which incorporated the mission, the vision, USP and various recommendations. The positioning speaks to drivers yet also conveys the positive spirit associated with renewable energy adoption. 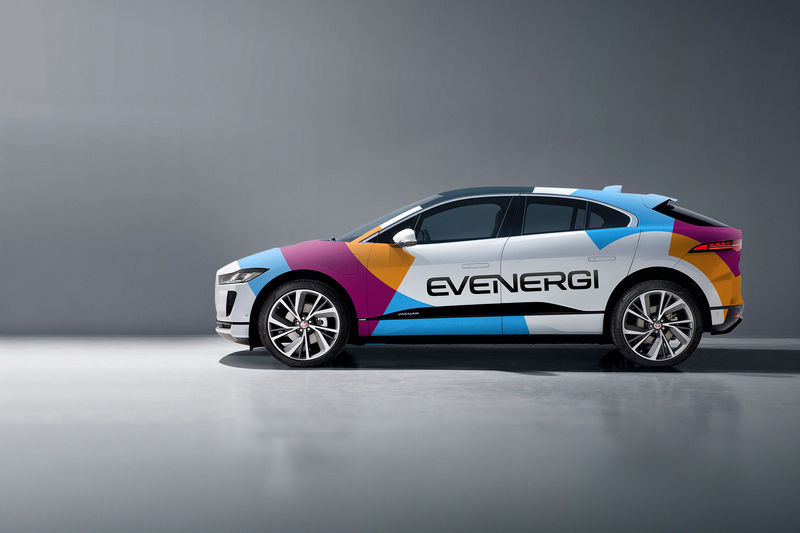 The Evenergi brand is an interesting challenge insofar as it must straddle both the energy and automotive sectors. 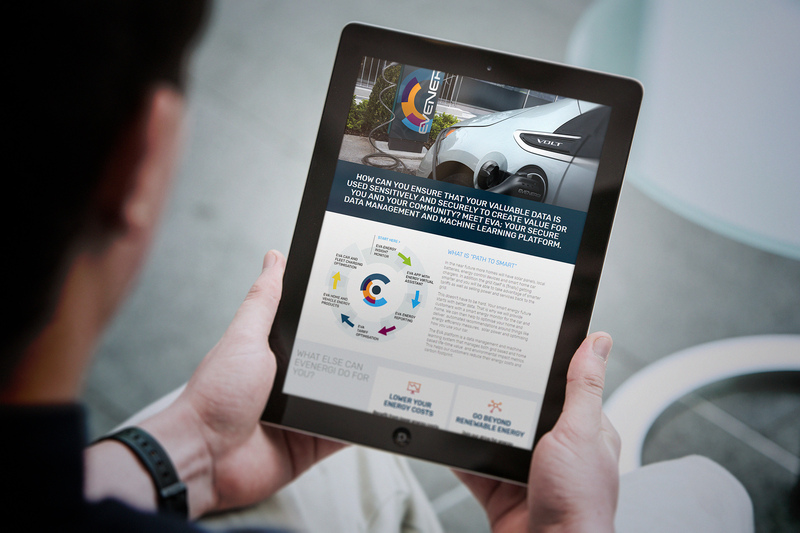 Our core goal was to ensure that the positioning spoke primarily to the automotive industry and drivers yet also conveyed much of the positive spirit associated with renewable energy adoption. We did this by using visual automotive cues such as the brand typography which has the feel of an automotive brand. We paired this with a more emotive tone of voice and brighter aesthetic which lends itself more to the positivity of renewables branding. When developing the concept, we used symbology such as car wheels, the sun as life force, turbines, and other spherical influences. Evenergi also required a technology proposition because a large part of their product offer relates to applications which assist drivers in better understanding energy demand and associated pricing. In simple terms, when best to charge their vehicles according to wholesale energy prices. 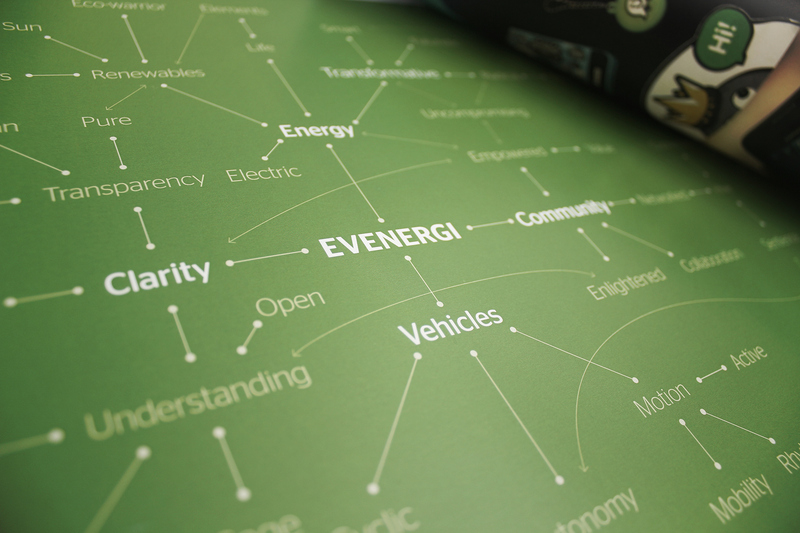 Our renewables brand identity concept used several automotive and renewable energy triggers. We used symbology such as car wheels, the sun as life force, turbines, and other spherical influences. We were also intrigued from the adoption of electric motor technology which is a far more efficient solution than the idea of the combustion engine. All these influences help create the resulting cyclical brand identity. The adopted brand identity utilises a dynamic series of rotational segments around a central sphere. The adopted brand identity utilises a dynamic series of rotational segments around a central sphere. Much like an electric motor or our solar system, these graphic devices can orbit in rotation to create various compositions used in imagery and the overall visual identity. A striking complementary colour palette and extensive typographic family then support the visual look and feel. 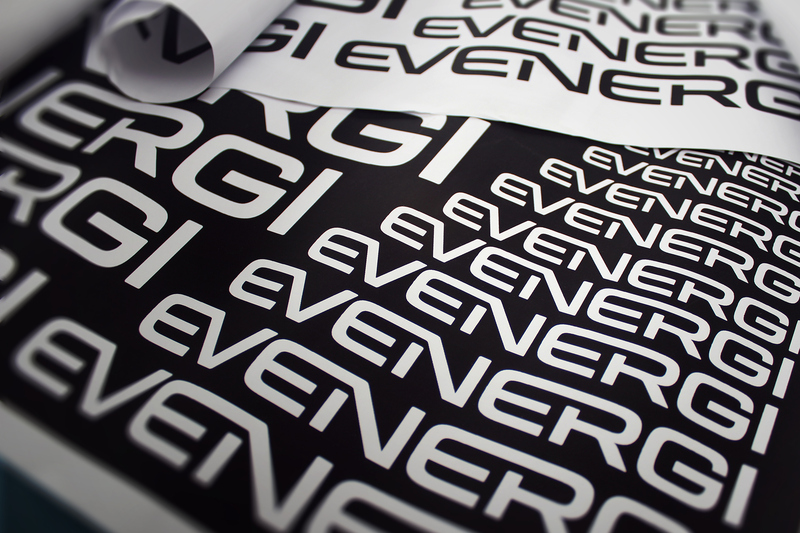 This ensures that the Evenergi brand is both recognisable and bold. 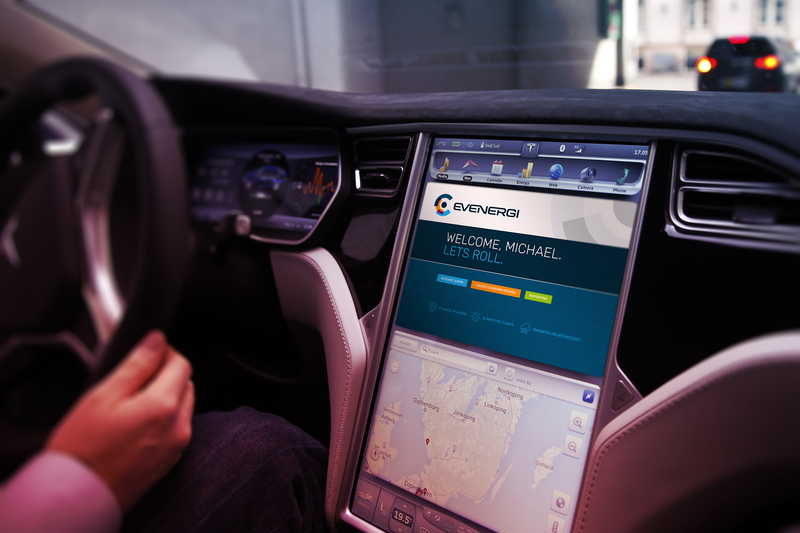 The business has commanded an avid following of EV drivers, industry professionals and game changers. It is early days for this contrarian brand yet already the business has commanded an avid following of EV drivers, industry professionals and game changers. 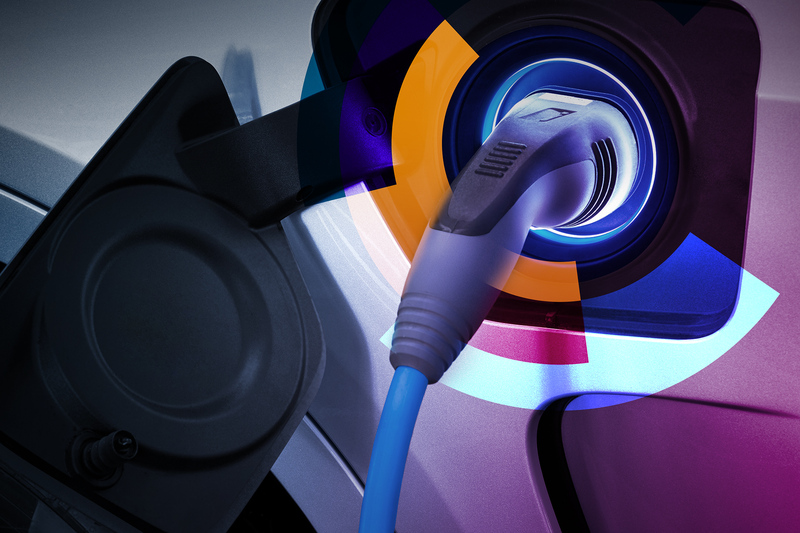 The will launch with two offerings – Charge Together is an EV community that will crowdsource the best and cheapest renewable energy solutions for drivers. Secondly, an innovative hardware solution that will give EV drivers the ability to monitor usage and save costs dramatically with an AI enhanced app.